Even sandwiches can be jazzed up with a special label and simple string. 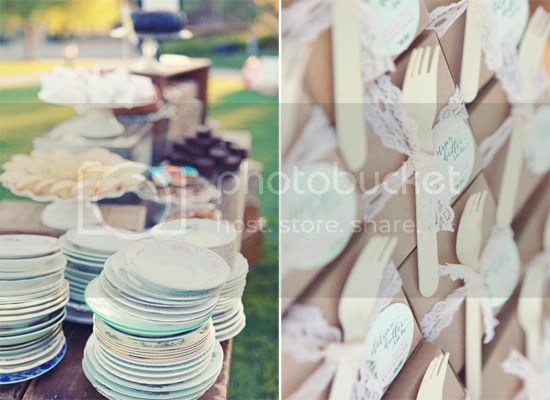 These sandwiches were actually part of a wedding of two designers, Danni and Nick who chose to be wed at a Park in Fullerton, California where they had their first date! I love how they were happy to do things a little differently. 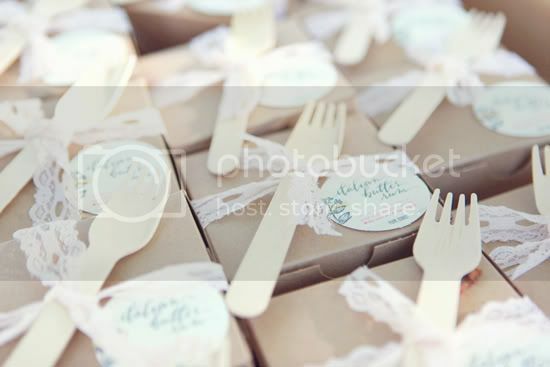 They chose to have guests arrive at 4pm and had blankets laid out and guests munched on these deliciously wrapped yummies. Then when the sun was about to set, the guests gathered around to watch them say their vows. It ended with a post-ceremony dessert party. 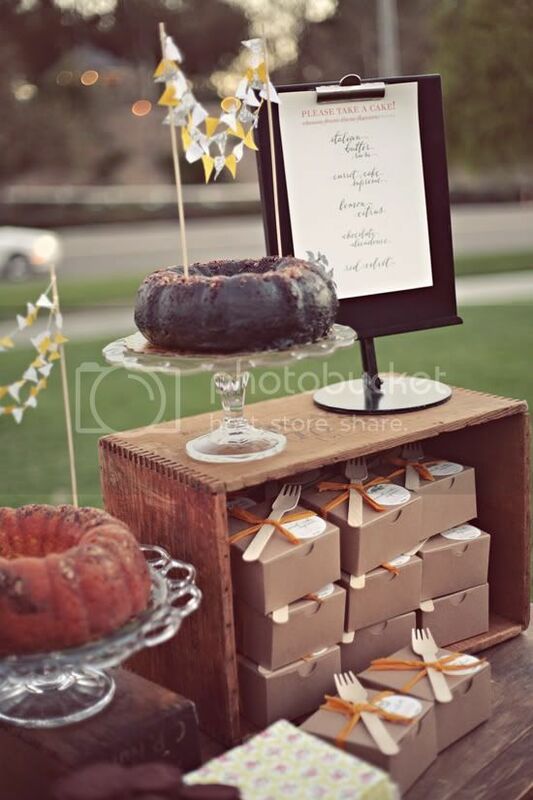 Oh and they gave out mini bundt cakes as favors. Don't you love the wrapping? She designed the tags herself and wrapped them with fabric ribbons and a wood fork.